As we have been aluminum sheet supplier for more than 25 year, we find that 1000 series, 3000 series, 5000 series, 8000 series aluminum sheet are the most used aluminum sheet metal among our customers. The aluminum alloy content is different in those series, and the price of every grade is also different. Many friends may asked: how can I find the best aluminum sheet price? In my opinion, it is very difficult to have an exact answer, because there are many factors can affect the price of aluminum sheet plate. But, to find a great price, there is still some skills. Generally, the price of aluminum sheet is determined by the price of aluminum alloy and process cost, so the price of 1000 series aluminum sheet is the lowest for the processing technology is simple. If you want to buy aluminum sheet in great price, you should consider these two factors. To the first factor, pay attention to the price of aluminum, it often various in the market, if the price is lower, it is a good time to place your purchase order. Then is the cost of process, how can we reduce it? The answer is to find a professional manufacturer! For this kind of factory have advanced equipment and mature technology, there will have little waste material, then the cost can be reduced. 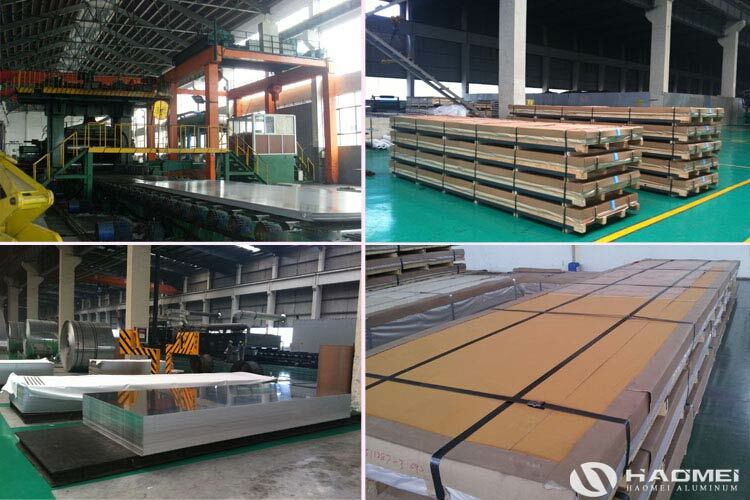 Take all these into consideration, if you have purchase plan, firstly find a trusted aluminum sheet supplier, then just wait for the reduce of aluminum sheet price.